The original Japanese School was founded in 1912, with one teacher and 28 students, at 131 Middle Road. 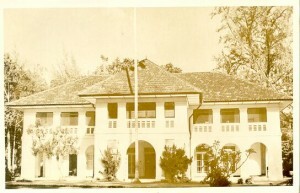 In 1920 The Japan Club (now T he Japanese Association) built a new school at 155 Waterloo Street, where Stamford Girls’ School is presently located. 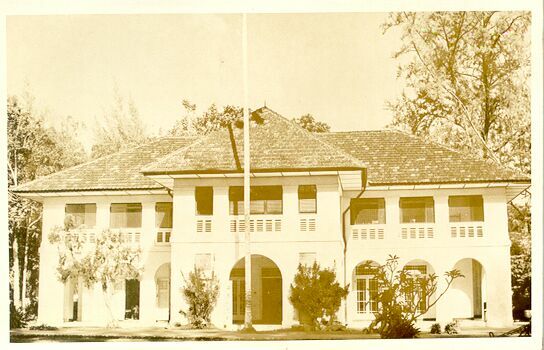 The School continued to grow and was moved to various sites, Bencoolen Street, Wilkie Road and Short Street. In 1941 the School was closed by the British Army at the beginning of World War ll. The School was re-established as “The Shonan First People’s School” under the Japanese Occupation. This ended in 1945 and the School was closed down again. It was not reopened until 1966. 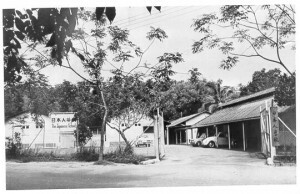 The first school building was located at curr4ent Newton Post Office on Bukit Timah Road and operated from 1964 till July 1966. 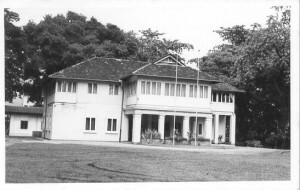 In September 1966 the Japanese School was established with a primary school at Dalvey Estate, in a residential building. It had only 27 students and 3 teachers at that time. After two years the School moved to Swiss Cottage Estate in April 1969. It was there that saw the beginnings of the Japanese Secondary School. The Primary school opened officially at Dalvey Estate on September 1966, and closed on March 1968. 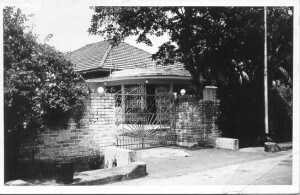 By 1971 the School was relocated again to West Coast Road. For the 5 years that the School was situated there, marked increase in the number of students was witnessed, from 171 in 1971 to 588 in 1976. This caused a strain on the facilities and the School was to move again, to Clementi Road. The Secondary school opened at Swiss Cottage on April 1968, and closed on July 1971. The Japanese School constructed its own school premises in 1976, and has since then been expanded many times. In 1984 the Japanese School building was completed at West Coast Road. By this time, the student roll had more than 2,000 students, in both the primary and secondary section. 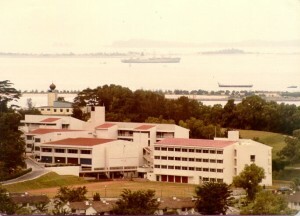 The School West Coast campus opened from August 1971 till March 1976. In addition to Clementi Campus of the primary school and West Coast Campus of the secondary school, Changi campus of the Japanese Primary School was newly opened in Upper Changi Road North in April 1995. Changi campus started off by teaching primary 5 and 6 grades while Clementi campus continued to teach primary 1 to 4 grades. Since April 1998, the Japanese Primary School has functioned as two separate schools managed by two respective principals on each campus independently. Both primary schools teach grades 1 to 6 now and they are supervised by the same school management committee. In April 1999 the student roll for the primary school was 836 on Clementi campus and 993 on Changi campus while the Secondary school enrolment was 616. In total 2445 students ate taught by 163 teachers on three campuses. Clementi campus on Clementi Road in 1983. Current primary school, Changi campus on Upper Changi North Road since April 1995.